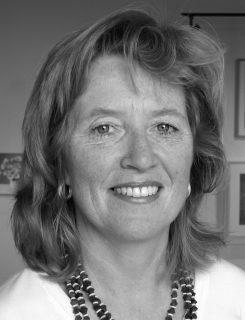 NSCAD University is very saddened to announce that esteemed retired faculty member and well known artist Susan Wood passed away on Monday, February 26, 2018. Susan Wood was born in Saint John, N.B. and grew up in Amherst, N.S. She attended Mount Allison University (BFA 1976), participated in the Banff Winter Studio Program (1976-1977) and received an MFA from The University of Calgary in 1981. Susan lived in St. John’s, Newfoundland (1983-1989) where she was a founding member of the Eastern Edge Gallery, taught at Memorial University Extension Arts and continued her studio practice. 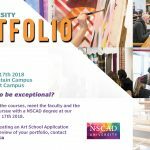 Susan moved to Halifax in 1989 and began teaching at NSCAD University in 1990. 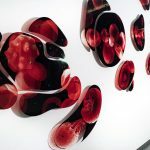 She participated in numerous group exhibitions across Canada and in Finland, Germany, Scotland and Iceland, and also had a number of solo exhibitions including her nationally touring Devil’s Purse, Dress Drawings and Taxonomies. She was a member of the Royal Canadian Academy of Arts and was a recipient of grant awards from the Canada Council, the Newfoundland and Labrador Arts Council and the Nova Scotia Arts Council. Her work is represented in private, corporate and public collections across Canada, UK and in the USA. Susan lived in Halifax, and is survived by her children David, Jamie and Aiden. Susan was predeceased by her husband Stephen Fudge. Susan was well loved by colleagues and students at NSCAD. Susan possessed a remarkable ability to connect with her students. Every one of them appreciated her knowledge and enthusiasm that was delivered with patience and kindness. Susan’s reputation as a drawing instructor was such that students arrived requesting that they be assigned to her class. As a colleague, Susan was the consummate professional. Her generosity, clarity of thought, positivity and ability to keep things in perspective was always greatly appreciated, as was her wisdom and good humour. Susan will be greatly missed. There will be a Celebration of Life for Susan at 1:00 pm on Friday, March 9 at Pier 21, The Canadian Museum of Immigration, 1055 Marginal Rd, Halifax.